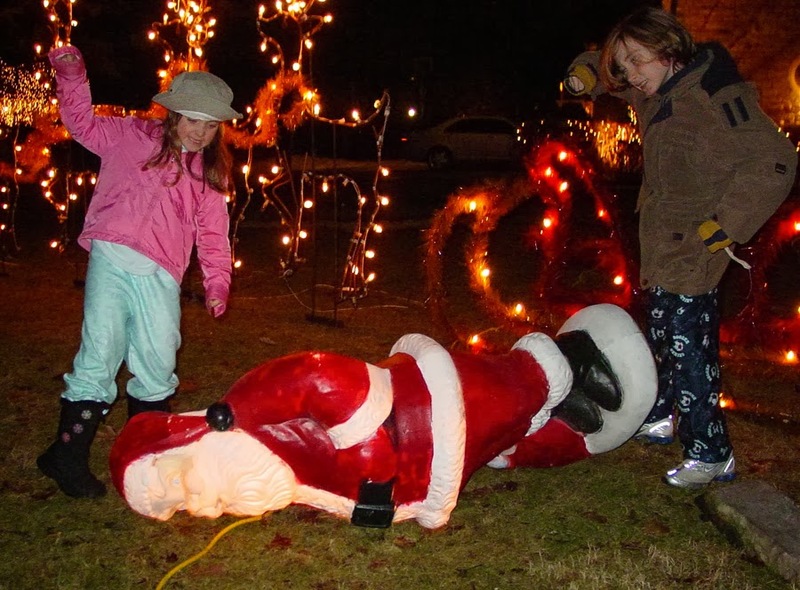 Mitch O'Connell: Juvenile Delinquents Attack Santa Claus! Time again to trot out my personal favorite Christmas photo! 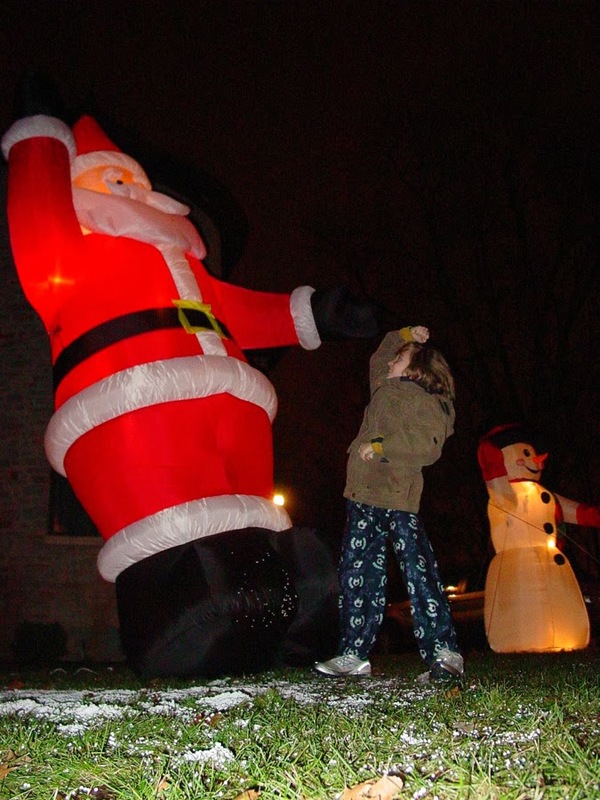 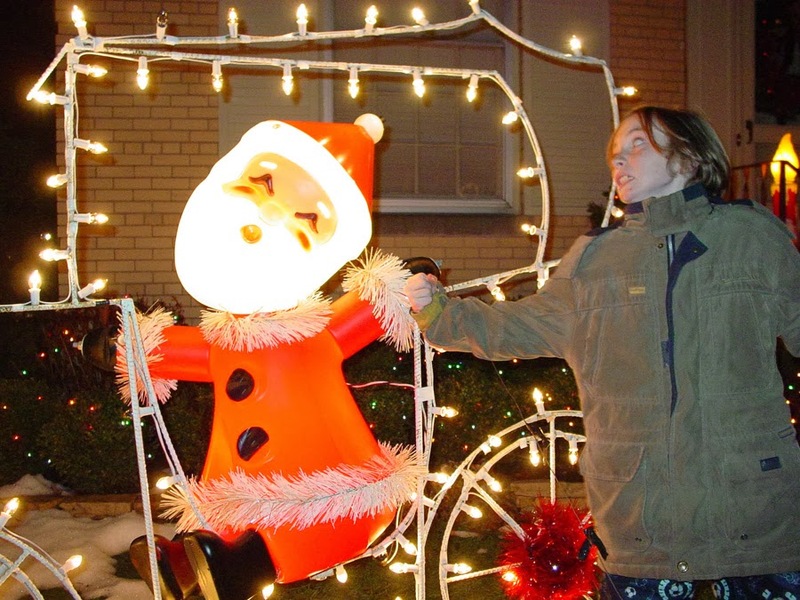 Years back we went to a local neighborhood that's known for going crazy with the decorations. Every time I saw a display that had fallen over, I'd have the kids jump out of the car and pretend they were juvenile delinquents. After a couple snapshots I'd yell, "They're coming out of the house, RUN!" 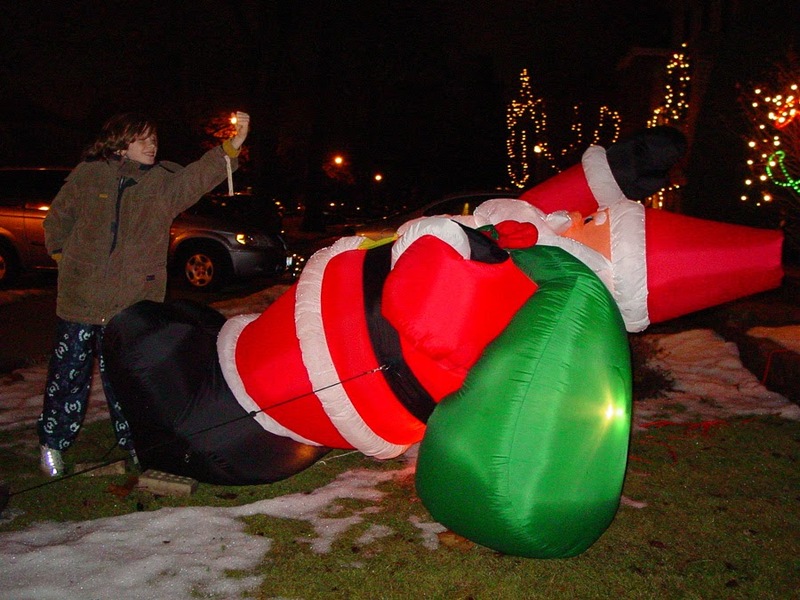 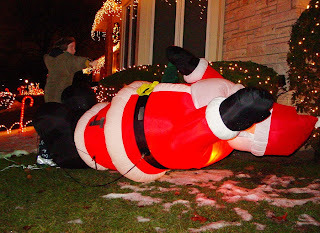 The kids would scream and we'd scoot off to the next deflated Santa. 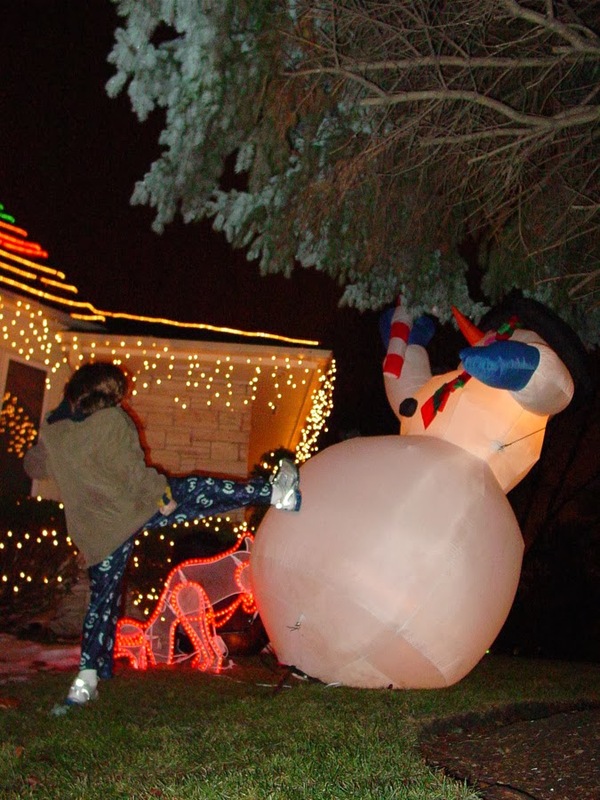 Happy Holidays from the O'Connells!